This is a square David Duff & Son Coal porcelain sign. 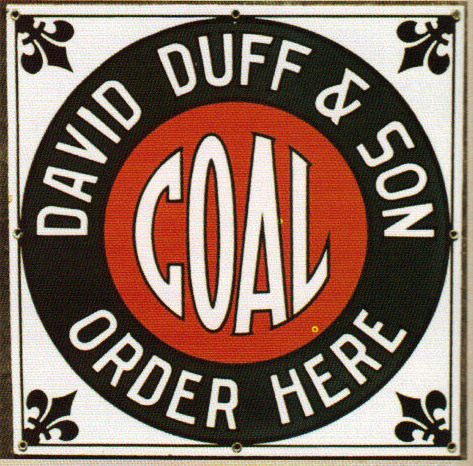 This particular David Duff & Son Coal sign is predominantly red and black with white text. It reads, “David Duff & Son Coal, Order Here” and features black fleur-de-lis in each corner.